Some seriously good stuff in this week! Really eclectic too. I’ll go through it all below. Thanks to the man Reggie Dokes for hitting us up with a Top Ten! This blog was written to the sounds of Sun Ra. A) I just came back from a really great collection in deepest South London. A few weeks ago this really nice guy came in with a whole bunch of Lee Perry and Upsetters bits and said he had a load more records for sale. Anyway – I’ve just come back from his house and have a tonne of records with me. It was a really wild mix. Loads of Reggae (all the classic titles, nearly all original issues and in great condition. Classic LPs from Bob Marley, Augustus Pablo, Peter Tosh, Dr Alimantado, The Jolly Boys, Black Uhuru, King Tubby, U Roy, Jah Thomas etc. About 50 really decent Reggae LPs. The rest of the collection was also great. Lots of Henry Cow/Slapp Happy/Here & Now (and a load of solo records. Classic rock from Black Sabbath, Jimi Hendrix, King Crimson. Loads of Canterbury (Soft Machine, Robert Wyatt, Hugh Hopper). Some decent New Wave (Brian Eno, Blondie, Talking Heads). Some nice Avant Garde/Improv (Dashiell Hedayat, Karlheinz Stockhausen, Derek Bailey, Fred Frith). Also lots of Jazz (including some Sun Ra, Stan Tracey, Mike Westbrook), Classical, Blues and Punk. There were also some Diamond Galas cds and some unusual Private Press 45s (Reggae and Punk). Super nice collection – these will be going out ASAP! B) Another really great collection also came in this week – again really eclectic. This one was also pretty massive and featured lots of Folk music from around the world, Blues, Avant Classical, ECM, Jazz, Experimental, Highlife, Latin, Post Punk etc. You could tell the seller was a friend of the owner or Reckless! Some seriously good records in this collection: John Cage, Willie Colon, Don Cherry, Philip Glass, Ali Akbar Khan, Ali Hassan Kuban, Chet Baker, Archie Shepp, Bernie Wallace etc. This collection was pretty big and will take some time to go out. There was also a lot of Classical in this collection – all across the board but mostly the weird stuff! C) One of our really regular sellers (and a famous DJ!) sold in a really great bunch of Detroit Techno/Chicago House/UK Techno this week: Terrance Parker, Model 500, Scan 7, Dance Mania, Metroplex, Drexciya. These have been flying out. D) Also on a Detroit Tip – we bought in a few hundred 12″s of Detroit House/Techno, Rare Tech House, UK Electro, Deep House. Lots of really rare 12″s (keep checking out Instagram to see whats up). Lots of rare ones from Shake Shakir, Callisto, Convextion, The Black Dog, Projam, Autonomy, DJ Rasoul, Underground Resistance, Red Planet. You know the score!!! There a also a few hundred of these that just got cheap stickers whacked on them as they weren’t worth much – but you may find a bargain! E) We bought in a fairly well used copy of the Counting Crows LP – which has shot up in value. “I can’t say I’m surprised, I love it!” Scott Fergusson. F) Rare copy of Earl Cunninghams “Don’t Let Me Wait In Vain” on Yellow Vinyl just went out. Killer tune; sampled by Breakage. G) We got a restock of all of the available titles on the always killer Static Shock Records (run by Tom our CD head honcho). These always sell super quickly. We have the Sheer Mag LP. H) A whole bunch of classic Heavy Metal and Hard Rock came in on Friday: Iron Maiden, Black Sabbath, Rainbow, Rush, Scorpions, Def Leppard. Iron Maiden are still one of the greatest bands in the world. I) Bidddy Bidddy Blip!! Large box of proper Drum & Bass in this week as well. Proper nice condition. Loads of classics. Little big of Jungle in there too; pretty much all post 95 though. Metalheadz, Reinforced, Hospital, Renegade Hardware, Good Looking Records, V, Philly Blunt, Ram. These are all vintage but look like they were just released. I also bought in a decent pile of Drum & Bass/Jungle CDs this week – some of the rarer unmixed Jungle comps, the Torque 2xCD (just one of the gnarliest albums ever – pure darkness), Teebee, DJ Hype, Photek, Source Direct. J) You never see these in record shops but for some reason we get these in every now and then: another full run of Bandulu screen printed sleeves. Hefty Bristol Grime/Dubsteap from Kahn & Neek, Gemmy, Boofy etc. Wheel up selector! K) A HUGEEE pile of Manga/Anime Soundtrack LPs (we also have a load of 45s to go out too) will be going out in the next few days. Some of these go for a fair bit of wonga. L) Teenage Fanclub are an amazing band. It doesn’t really get much better than cracking open a can and cycling down a hill listening to Bandwagonesque. We put out nearly all of there records yesterday. Loads more due in – wicked. 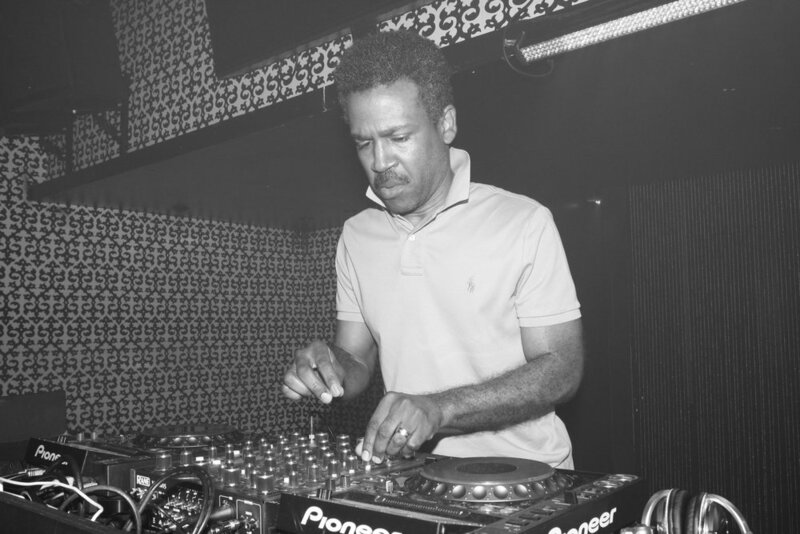 This week we are blessed with a Top Ten from the almighty Reggie Dokes!!! Thanks Reggie!!! Big fan right here!!! Previous PostIt Never Stops!! !Next PostThe night of Samhain is round the corner!